Chip-based credit cards have become increasingly more common as magnetic strip technology fades away. While chip-based cards still have the magnetic strip, machines are programmed to tell you to use the chip. 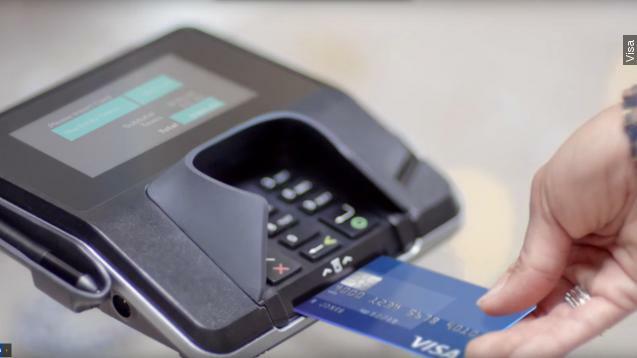 The new cards with the chip-based system, called EMV, have been lauded for being "nearly impossible" to counterfeit. CNN Money reported, however, that there are still security concerns emerging. Tech researchers at the NCR Corporation, a payment technology company, have demonstrated how thieves can get around the chip. Hackers can rewrite the code in the strip, making it act like a chip-less card again; then, they can steal the card information. The code can be rewritten because many retailers do not encrypt transactions through their payment machines. This makes card information vulnerable. Payment machines are not encrypted by default, so stores have to pay more to do so and thus protect their customers. Two examples of this occurring in national retailers are the hacks that Target and the Home Depot experienced two years ago, where many customers experienced credit card theft. "There's a common misperception EMV solves everything. It doesn't," said Patrick Watson, one of the researchers. NCR advised that retailers "encrypt everything" during a transaction and encouraged customers to pay by app or another high-tech option when available.